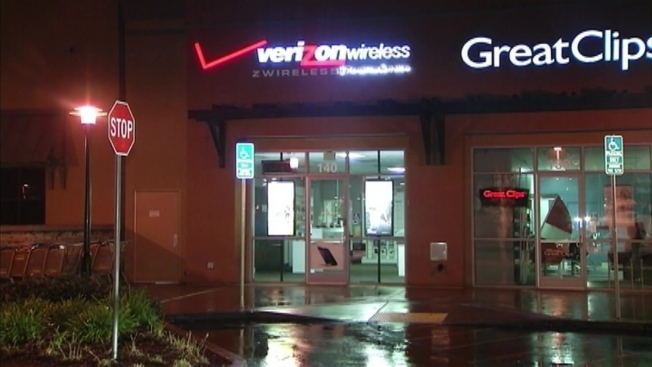 Police in Sunnyvale late Thursday night arrested two suspects but were looking for a third after an armed robbery at a Verizon store on El Camino Real. The search focused on the area of Costa Mesa Terrace and Corte Madera Avenue, but as of Friday morning, he had yet to be found. Police said officers located a handgun in the suspects' vehicle.